11/06/13 - Sorry folks, no content updates this time, just general maintenance in preparation for future site expansion: as browsers have developed over the last couple of years a lot of the pages had started to act a bit weird when viewed and some of the websites on the Links page no longer exist . . . all fixed now. There will be some actual railway updates coming soon! 08/12/11 - Added two newly published books to the Rail Around Birmingham Bookstore that will be of interest to local railway enthusiasts by Mike Hitches: Birmingham Railways Through Time and Wolverhampton Railways Through Time. To read more about them click HERE. 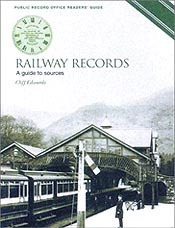 21/05/11 - Added background information and history to the Beeching Report page along with downloads for the entire Report including all appendices and maps. 31/05/10 - Website moved to new dedicated host. 20/12/09 - Due to a 6 month spell of divorce and redundancy, as regular readers will have noticed, Rail Around Birmingham hasn't been updated for a considerable period of time. However, I plan to rectify that by making several updates in the coming weeks. The first change I've made today is to add a Railway Bookstore to the site from where you can browse and purchase railway books directly via a link-up with online retailer Amazon. 28/06/09 - Rail Around Birmingham II - The Black Country & South Staffordshire Routes has finally been released and it available from the publishers, Silver Link, or all good booksellers! 25/01/09 - More a technical note than an update but I've now transferred the website from its previous hosts to a dedicated hosting server as it has got quite, well very, large and receives a considerable amount of traffic. Therefore, I would ask if anyone notices anything 'awry' on the site to let me know as I think I've reconfigured everything correctly but it's quite easy to miss the odd thing! To celebrate the new hosting of the website I've also added a nice postcard pic of the old Queen's Hotel that fronted New Street station to the front page. 10/01/09 - First of all, Happy New Year to all readers of Rail Around Birmingham! Secondly, for the first update of 2009, I've added a photo tour of the Network Rail Corporation Street Depot which closed at the end of 2008 and was poised for hand over to the demolition team as of 05/01/09 as part of a redevelopment of the area around the old Walsall Goods facilities site. To skip straight to the photo tour of the ex-LNWR building, click HERE. 27/12/08 - Added details for the forthcoming 'Rail Around Birmingham: The Black Country & South Staffordshire Routes' book due for publication 24/05/09. 16/11/08 - Just a small update, I've added two postcards to the Railway Postcards page showing Spring Road halt and Tyseley Junction. I've also updated the Whatstandwell station entry and would particularly recommend taking a look at Cromford station and the goods shed at Matlock station even though they are out of the Rail Around Birmingham Region! Dudley Port (High Level) station - new main and two new platform level photographs. Cradley Heath station - completely new set of photographs. Old Hill station - completely new set of photographs. Princes End station - 1981 photograph of the signal box at Princes End level crossing. I'm hoping to add more content in the next couple of days so please check back soon or sign-up for the Rail Around Birmingham email Newsletter (on the left-hand side of the page) to be informed when new additions are made to the website. 02/11/08 - As you may have noticed, the Rail Around Birmingham website has had a complete redesign and change of format. The site has been online since 2003 and this is the fourth, and by far most major, restructure/design the site has had and is, in part, to commemorate the 5th anniversary of the site and the 300,000th online visitors to the website (since Jan 2005 when I added a stats counter) . . . which is quite staggering and thank you to everyone who has taken the time to view the website. Enlarged photographs - all photographs now use a 'light box' effect when clicked on to open a larger version with full captioning: no more pop-ups! Station lists are now available on every page so you don't have to go back to either the front page or Regional Map to navigate from station to station. Numerous new period photographs, reworked entries, tweaks and re-jigs sitewide! New menu structure which will allow me to easily add new sections when time permits: including a Railway Video and Beeching section which will, particularly the former, develop over time. Sitemap added if you're looking for anything specific and can't fathom where to find it. Completely re-written entry for Longbridge (Halesowen Railway) station including new photographs. Completely re-written entry for Lye station including new photographs. More to come in the coming weeks . . .
Also, please help me out - this was a mammoth task as every page had to be manually recoded (297 station pages alone!) and the majority of images have been reprocessed and it has taken nearly a month so if you find any dead links or missing images etc . . . please let me know. Any other feedback would be greatly appreciated too! I've also got a stack of new material to add to the site, and some updates to existing entries, in the coming weeks so please check back soon or sign-up for the free email Newsletter to be informed when new content comes online. 25/10/08 - Silver Link Publishing have given a provisional publishing date for the second in the Rail Around Birmingham series of books. The second volume - Rail Around Birmingham: the Black Country & South Staffordshire Routes - has a provisional publishing date of May 2009. I am also currently writing 'Rail Around Birmingham vol.2: The Black Country & South Staffordshire Routes' and, as such, have been out photographing more site's within the region and will be adding some new sites to the website soon and some updates to stations already covered. The keen-eyed amongst you will have also noticed that i have removed both the 'Videos' and the 'Tram Galleries' sections of the site. The latter has now been incorporated into the 'Other Regions' section of the site and the videos section has been put on hold awaiting a revamp as the format of the videos presented was, I thought, poor and I have a lot better material to edit and upload given time so until I have considerably reworked the section there will be no videos available. For those of you who may be interested in the Rail Around Birmingham book, Volume 1 covers all the station sites within the County Borough of Birmingham as of 1948 and is not, before you ask, a rehash of the website! I have obtained many previously unpublished historical photographs that appear alongside my own (some of which you will not have seen) in addition to new text and a foreword by Pete Waterman. The book should be published in November and can be pre-ordered from Silver Link Publishing HERE following the 'Forthcoming Titles' and 'Railway Heritage' links. 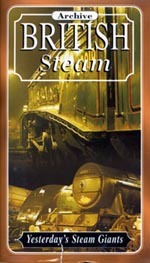 15/06/07 - Received the cover for the forthcoming Rail Around Birmingham book from the publishers, Silver Link. Added scan to front page. Miscellaneous page updated with 6 photographs inside the Longbridge Works railway, including the signal box, and an oddity from Pelsall! Bromford Bridge and Castle Bromwich coming soon! 14/12/06 - Congratulations to Geoff Stephenson who has won the Christmas competition by correctly identifying that I was referring to the Harborne Railway: thank you to all those who entered. 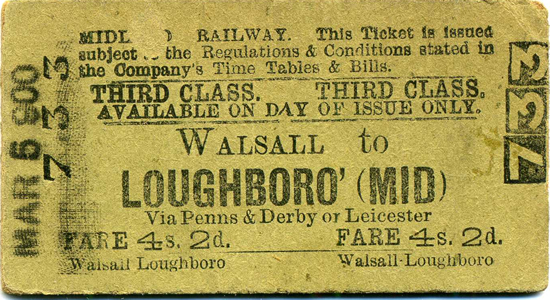 Which Birmingham Railway company had the LNWR providing all its trains and staff, had only four stations, served a brewery, and earned the nickname 'express' for its passenger service due to the 30+ minutes it frequently took to travel the 2.5-mile route? To enter, simply answer the question using the 'Contact' form on this website and I'll randomly pick a correct answer by 10th December and contact the winner for their address to post the prize: Cliff Edwards' excellent guide to UK railway research. 12/11/06 - A very small update this time I'm afraid! Firstly, I've started an online photo collection that some of you may find interesting and added a link to it on the Links page. Secondly, congratulations to Ron Abbotts for winning the September/October competition by correctly identifying that Sir Daniel Gooch was Chief Mechanical Engineer for the Great Western Railway at the time of the opening of Wolverhampton Low Level station. The Christmas competition will be online in the next week or so, as will another update, so keep checking back! Which former MP was Chief Mechanical Engineer for the Great Western Railway, later to become chairman, at the time of the opening of Wolverhampton Low Level Station? 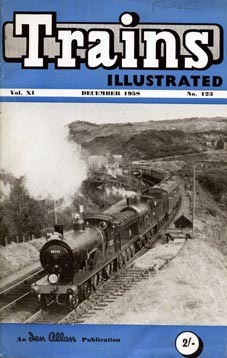 To enter, simply answer the question using the 'Contact' form on this website and I'll randomly pick a correct answer by 31st October and contact the winner for their address to post the prize: the December 1958 edition of Trains Illustrated featuring an interesting article on the North Midland route through Derbyshire, including a great shot of Bennerley Viaduct. 27/09/06 - Update to the Railway News page: 10 new news stories added, including the latest installment of the Birmingham New St redevelopment soap opera. Other Regions - On my travels around the country I sometimes take my camera just in case I come across a site of interest. However, I don't really want to extend the parameters of this site to 'Rail Around England' proportions so thought some readers may like to see them here. Tram Gallery - I have to confess to becoming increasingly interested in trams and thought some readers may be too! In time this will cover many photographs and memorabilia I have of trams around the region and further afield. Miscellaneous - I've changed this section to remove photos sent in by readers: it will now just show photographs I've taken that don't really fit anywhere else. 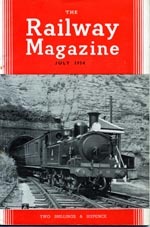 Congratulations also to Ken Wright who won the July competition by correctly identifying that the LNWR was formed by the amalgamation of the Grand Junction Railway, London and Birmingham Railway, and the Manchester and Birmingham Railway (magazine is finally on its way!). 22/07/06 - I've received a lot of emails over the past few months asking why I removed the old site Guestbook and asking if I was intending to replace it so I have decided to add another Guestbook and, to avoid all the irritating pop-up ads etc associated with all the free offerings, I have finally got around to coding my own version from scratch. So please feel free to leave a message, any recollections of railways and any questions - I will attempt to post answers to any questions on the Guestbook and hopefully other readers will chip-in too if you include your email! 20/07/06 - Added a link to a new site I am developing: History Around Birmingham. I hope the site will be of interest to some readers as it follows a similar format to this site but focuses on Birmingham as a whole (with a particular bent for its industrial heritage however!). 09/07/06 - Courtesy of Rail Around Birmingham reader Stuart Lambeth, I have added a downloadable file which, for those of you using Google Earth, will display a marker for the site of every station featured here overlaid onto present-day aerial photographic 'maps'. To download the Google Earth place marker, click HERE. For more on the free Google Earth programme which is needed to run this file, go HERE. Revamp of the Misc, Train Photos and Postcard pages so that you can now navigate to whichever page you desire without having to go through each page. Added a link to Towcester's Railway History website to the Links page. Added the post-demolition shots to the Kings Norton page that I had forgotten to upload at the last update - sorry! The LNWR was formed in 1846 by the amalgamation of three railway companies: what were they? To enter, simply answer the question using the 'Contact' form on this website and I'll randomly pick a correct answer by 31st July and contact the winner for their address to post the prize: the July 1954 edition of the Railway Magazine featuring a 10-page article examining the LNWR and Midland Railway around Birmingham including photos, maps etc . . . by C.R.Clinker. 28/04/06 - Unfortunately, due to an imminent house move, I will be unable to update Rail Around Birmingham over the next couple of weeks. I do have new material for the site but have packed all my stuff away but rest assured I will be out and about again, and adding new content, as soon as I have settled into my new property. However, I can announce the winner of the April competition as being Geoffrey Stephenson who correctly provided both parts to the answer: Frankley Waterworks and Hollymoor Hospital. I had a lot of correct answers to the competition so thank you to all those who entered! The May competition will be launched post-house move so keep checking back or join the Mailing List to be informed as soon as new content comes online. Another two photos to the Kings Norton station page showing what can be achieved in a week when the bulldozers move-in to clear an old station building! plus the . . . I've decided to run a competition for the next few months (open to UK residents only I'm afraid) as I seem to have accumulated a few duplicate items in my collection over the years and rather than 'eBay' them, I thought it would be a nice idea to offer them to readers of this site for free! In order to win the competition each month (or so), I will set a railway-related question. Other than a short spur to serve a sandstone quarry, the Halesowen Railway also had two temporary branches from Rubery serving the construction of two sites: what were they building? To enter, simply answer the question using the 'Contact' form on this website and I'll randomly pick a correct answer by 30th April and contact the winner for their address to post the prize: a great 1-hour long VHS video looking at the railways around Birmingham during the 1950s and early 60s (see right). It's quite a large update this time and I have a few other outings planned in the next few weeks so keep checking back for more or join the Newsletter to be kept informed as updates come online and new competitions released. 10/03/06 - Just a short update covering the demise of Kings Norton's original station building (click HERE) and 5 regional railway items added to the Railway News page. A revamped 'Memorabilia' section and within it, a number of old tickets and an interesting LNWR item! Along with adding new content from explorations at the various sites to be covered, I aim to add new content to the Memorabilia section soon from my collection, 'fill-in' the holes with photographs of long-gone stations that I hadn't got in my po session when their pages were originally written and edit a large collection of video I have into useable chunks to upload to the site so check back soon or joining the Mailing List to be informed as new content appears! 04/01/06 - Due to work commitments, the latter part of 2005 has been a quiet period for Rail Around Birmingham - although I did find time to design a new website for the Chasewater Railway! However, over the next few weeks I am planning several trips to sites I have yet to visit so there should be plenty of new content coming online soon. As a prelude to that, I have added some new sites to the Links page that are well-worth visiting. Unfortunately, I've also had to remove the Guestbook from the site - thank you to all those who contributed. Alas, the curse of 'spam' entries became too much to administer and as I wish to have a site that everyone can enjoy I decided it best to remove the Guestbook entirely to prevent the endless stream of unsavoury messages and ads from appearing. a Video section containing some short clips of steam at work on the Chasewater Railway that will gradually be expanded to include many clips. six photographs to Train Photos Page 4: five from the Chasewater Railway and one from Stourbridge Town before its rebuilding. 09/04/05 - Just a small, but timely, update covering the M&B Cape Hill brewery railway. Also added four postcards (Dudley Port, Birmingham New Street, Cadbury No.1 loco and GWR 3434 City of Birmingham), old photographs of Moor Street and Dudley to the 'Misc' pages and a couple of items to the 'Memorabilia' pages: a leaflet extolling the virtues of the 'Jewellery Line' from 1995 and a platform ticket from Birmingham Snow Hill. 08/02/05 - For the first full update of the new year I thought it time I visited the much-requested Lichfield - Walsall line and whilst I was in that area visit a few other spots of interest. I have added Lichfield Trent Valley, Hammerwich, Brownhills (LNWR), Brownhills (MR), Walsall Wood, Pelsall and Rushall. In addition, I have included a section on the Chasewater Railway and a page on their Brownhills West station. Furthermore, I decided to include a section on Cadbury's railway at Bournville (including their Waterside Wharf), a section on Lifford Wharf, a total rework of the Lifford station page with all new photographs, a postcard of Snow Hill station hotel, a rework of the Cutnall Green Halt page (after eventually tracking-down a photograph of it during operation), and finally some assorted loco pix from the Chasewater Railway and a couple taken on Lickey Incline. 02/01/05 - Rail Around Birmingham receives a Golden Web Award from the International Association of Webmasters and Designers. 02/01/05 - As some of you may have noticed, the contact/email form has been out of action for a few days. I have now added a new form that I have coded with a few built-in measures that will hopefully prevent the amount of spam I receive (or at least reduce it). I will be adding more content soon so please keep checking the site or join the Mailing List. Happy New Year! 15/12/04 - As I won't be exploring new sites over the festive period, I thought it time to add some photographs sent to me by readers of Rail Around Birmingham to the 'Misc' pages. I have added some very interesting shots of the Halesowen Railway taken by Dave Morrall, four recent shots of Wolverhampton Low Level sent by Peter from the LEYTR and some 1993 shots of Langley Green station taken by Bernard Shaw. A big thank you to Dave, Peter and Bernard for the photographs and for permitting their use here. 28/11/04 - Had a little spare time a couple of days ago so thought I'd visit Gravelly Hill, Erdington and Aston. I've also added some more photographs around Gornal and a postcard of Erdington station that is part of a large collection I have recently acquired: hopefully, I'll soon find the time to scan them all onto this site! 21/11/04 - As it has been a while since my last full update, I thought I'd complete the study of two lines about which I get the most correspondence: the Wombourne branch and the Bumble Hole line. I have added Old Hill High Street halt, Darby End halt, Windmill End halt, Baptist End halt, Compton halt, Gornal halt, the excellent Tettenhall station and Harts Hill. In addition to this, I have reworked the page for Halesowen station with some new photographs, added two shots of the Wombourne branch's impressive girder bridge over the Staffs & Worcs canal near Tettenhall and added some new sites to the Links page covering Brownhills, central Leicester and East Yorkshire. 25/10/04 - Thought I'd celebrate getting the site back in full working order by sprucing it up a bit with a new colour scheme and some graphics - I think it looks a lot better: hope you agree! I have also added a link to the West Midlands Exploration web site and reorganised the Links page. 22/10/04 - Finally completed all the repairs on the site following the server crash. As far as I am aware, all pop-up photographs have now been restored and there are no dead links on the site. However, should you come across one I've missed, please use the contact form to let me know. Thanks! 30/09/04 - I thought it time for an update so have added a new section for the Severn Valley Railway and completed the pages thus far for Kidderminster and Bewdley stations on that line. In addition, I've added some postcards and a selection of images taken on the Severn Valley Railway to the 'Train Photos' pages. I hope you enjoy the update and will endeavour to get more new content online soon. I've also become aware that some of the 'pop-up' photographs no longer work since the site crashed and my having to re-upload it. I am slowly working my way through the site rectifying this issue but should you come across any dead links - please let me know. 12/09/04 - As many of you will have noticed, the site disappeared from the web several days ago. This was due to a server crash at the hosting company during which all my data, including back-ups, was lost! After much debating with the company, the web space has been restored and I have had to reload the whole site - which is annoying as several parts of the site were under development thus have had to be recoded to the point they were at when the site went down. However, I have restored most functionality and, with the exception of the Guestbook whose entries have all been lost (thanks to all of you who contributed and it is unfortunate to have lost you contributions), the site is pretty much back how it was. 07/08/04 - Due to work commitments I am unable to get out-and-about for updates to the site however, I have just purchased a small postcard collection covering some stations in the region so I have added these to a new 'Postcards' page and shuffled the 'Memorabilia' page around to tidy it up. I also should be adding some timetables (old ones!) to the site imminently so please check-back soon. 20/07/04 - I have now rectified an error spotted by Paul Walker and Andrew Smith regarding The Hawthorns and Jewellery Quarter stations. They are both now available via both the Metro and Regional maps with information amended accordingly. Thanks chaps! 18/07/04 - Just returned from my holidays and thought I'd get stuck in to some more rail exploration. I've added Smethwick Rolfe Street, Soho (LNWR), Handsworth, the Hawthorns Halt, Handsworth Wood, Hamstead, Newton Road, Perry Barr and Witton plus Winson Green Outer Circle Metro stop (Handsworth and the Hawthorns are also now Metro stops). I've also added two pages of books to the 'Useful Publications' pages as I have had a lot of requests regarding sources for further reading and added (well, re-included as they were offline for a while) a couple of sites by Steve Jones to the Links page that are well-worth checking out (particularly for those of you interested in Sutton Park station). And finally, I've added a Railway Clearing House junction diagram and an old photograph of Hereford (not yet within the area of the site) to the 'Memorabilia' pages. Hope you enjoy the update! 16/06/04 - I braved the tropical heat last week to explore the following sites: Wednesbury Town, Wednesbury Central, Pleck, Darlaston, Darlaston (not a typo, there were two), Tame Bridge Parkway, Bescot Stadium, Hartlebury, Stourbridge Junction, Cutnall Green and the Midland Metro stop at Wednesbury Parkway. I've also added a few of pics to the pages for Selly Oak station and Stourbridge Town with additional info. There are also some new additions to the Memorabilia and Miscellaneous pages - including some very interesting photos of Hockley Goods - plus a few shots on the Train Pics pages. I hope you enjoy the update! 21/05/04 - Apologies for the delay between updates but I have been moving house. However, I managed to get out for a while today and visited Water Orton, Kingsbury, Whitacre, Forge Mills and Coleshill. I have also added a couple of photos to the Train Pics page and am working on the Members Area. 28/03/04 - Finally sorted-out the 'Memorabilia' pages and added content that I hope is of interest. 27/03/04 - Following numerous requests I decided to put aside my Black Country fixation and follow the old Midland Railway's Walsall & Water Orton Branch so I have added Penns, Sutton Town, Sutton Park, Streetly and Aldridge from that line and spent some time walking around the ex-GWR's Bordesley station and goods facilities. 19/03/04 - I thought I'd better make it a good update this time as I haven't been able to get out and about for a month so I hope you appreciate these latest additions: Hagley Road, Rotton Park Road, Icknield Port Road, Monument Lane, Winson Green, Hockley, Soho & Winson Green and Soho Road stations. I've also added the Jewellery Quarter joint-light/heavy rail stop to the Metro pages. There are also some pics added to the Miscellaneous page, Train Pics page and I have started the Memorabilia page (long way to go yet though). In addition to all that, I have changed the individual page-mapping system by replacing the old maps used (which weren't very clear) with a 1942 map which covers the Birmingham area which should make it easier to pinpoint the position of each station discussed. Unfortunately, I don't have the same for all the areas covered so please be patient while I arrange maps for every station. I hope you enjoy the above and rest assured it won't be this long before the next update! 28/02/04 - I've just made a few changes to the structure of the site (no change to the content which is why I haven't issued an email to our Mailing List subscribers). I got fed-up with the Bravenet guestbook I was using - too many ads and irritating pop-ups, plus lack of customisation - so I have added a new PHP guestbook. I have transferred the entries from the old guestbook to the new one if anyone was wandering why all the entries appeared to be on the same day at around the same time! I've also changed the navigation section slightly so as I can incorporate some new features: the 'Memorabilia' link will, when I have completed the corresponding page, take you to a collection of railway-related materials from my collection: postcards, railway company rule books etc . . .
10/02/04 - The site has now all been successfully moved to its new home from railaroundbirmingham.org.uk as it quickly outgrew the webspace available there and, as the site still has much to be added and I have several other developments in the pipeline (industrial rail around Birmingham and a memorabilia page, to name but two), a lot more server space was needed. The old site will be left up for a short while for those who use it to 'catch up' with the move (and for me to code some jump links from all of its pages to this site as it will take the search engines a while to get around to indexing this one) but will not be updated as of now. On the update front, I was planning to kick off the new site by adding some sites from the old 'Wombourne Branch' but bouts of torrential rain slowed my progress. However, I have included the sites I managed to get around to: Brockmoor Halt, Bromley Halt, Pensnett Halt, Himley, Wombourne and Penn Halt. 26/01/04 - During one day last week when it didn't rain and wasn't too dark I made a dash around as many sites as possible. Thus I have added Swan Village, Spon Lane, Smethwick West, Sandwell & Dudley, Albion, Oldbury, Rood End and West Bromwich stations. The following Metro stops have also been added: Black Lake, Dudley Street - Guns Village, Dartmouth Street and Lodge Road - West Bromwich Town Hall. In addition to this I have added photos to Langley Green station and a picture to the 'Miscellaneous' page. 17/01/04 - Thought I'd make up for time lost over the festive period so have added: Adderley Park, Birmingham International, Hampton-in-Arden, Lea Hall, Marston Green, Tyseley, Shirley, Spring Road, Yardley Wood, Whitlock's End, Olton, Solihull, Small Heath, Saltley, Stechford, Acocks Green, Hall Green, Lawley Street, Windsor Street Goods, Banbury Wharf and Curzon Street. I've also added a handful of pics to the 'Train Photos' page and a 'Miscellaneous' page for the odd photo that doesn't quite fit anywhere else. And finally, I've rewritten the 'Regional Map' as the text was looking a bit scruffy in places since I changed the colour scheme of the map so I've tidied it all up and rearranged a few station names to make it more legible. 04/01/04 - Hope everyone has had a good Christmas and New Year: I've had a few quiet days with the weather too bad for photography so I've come up with another redesign of the site to resolve certain issues with the previous version such as it used frames which made for problems with search engine indexing amongst other things. Changed colour scheme, layout and used PHP as opposed to straight HTML/CSS (largely for 'includes' which make maintenance easier). Hope you all think the new version is ok and hope to add more content very soon. 07/12/03 - Added Warwick, Warwick Parkway, Claverdon, Hatton, Lapworth, Dorridge, Widney Manor, Bilston Central, Bilston West, Daisy Bank, Great Bridge North, Great Bridge South, Priestfield and Tipton Five Ways. Also added Loxdale Metro, Bilston Metro and added info to Henley-in-Arden, Danzey, Earlswood and Wythall. Finally, added a Discussion Forum too - see how it goes, if no-one likes it then I'll remove it after a month or so. 28/10/03 - Added Round Oak, Brierley Hill, Brettell Lane, Blowers Green, Monmore Green, Ettingshall Road, Bradley, Princes End and Princes End & Coseley stations plus added a photograph of Parkhead Viaduct (between Blowers Green and Harts Hill stations) to the 'Odds & Ends' page and a photograph of a T69 Tramcar to the Train Photos page. 12/10/03 - Added information to the Midland Metro page and added a good site to the Links page. 10/10/03 - Added Granville Street, New Street, Moor Street, Duddeston, Selly Oak, Bournville, University, Five Ways, amended Rowley Regis and Smethwick Galton Bridge, updated Central Goods and added some more useful publications! 04/09/03 - Added Coseley, Danzey, Earlswood, Henley-in-Arden, Smethwick Galton Bridge, The Lakes, Tipton, Wolverhampton, Wolverhampton Low Level, Wood End, Wythall and added a page for the Midland Metro (map only at present). 30/08/03 - Added Stoke Works, Barnt Green, Bromsgrove, Blackwell, Alvechurch, Redditch, Lichfield City, Shenstone, Blake Street, Butlers Lane, Four Oaks, Sutton Coldfield and Wylde Green. Updated/amended the Regional Map, added a 'Train Photos' page for shots of locos etc . . . that don't fit with the station pages and uploaded all the station pages - most now have historic maps and all have opening/closing dates (where known). 14/08/03 - 'Useful Publications' pages added showing a selection of what I consider to be the best books for information on railways around Birmingham. 13/08/03 - Added Brighton Road, Camp Hill, Camp Hill Goods, Moseley, Lifford, Hazelwell and Somerset Road stations. 09/08/03 - 'Odds & Ends' page added & regional map amended. 06/08/03 - Added Coombes Holloway Halt, Halesowen Station, Old Hill Station, Withymoor Goods and Cradley Heath Station. 04/08/03 - Links page up and running. 03/08/03 - Fixed 'Operational Stations' drop-down list: Longbridge Station can now be accessed.